Whenever it is cold or flu season and we want to help try to build up our immune systems, this is what we eat. 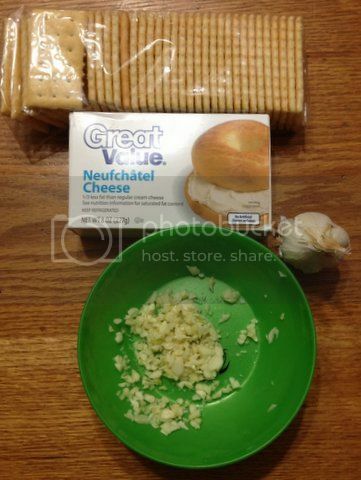 I mince about 3 raw garlic cloves and mix it with a fork into a third of a pack of cream cheese. Spread on crackers and eat! 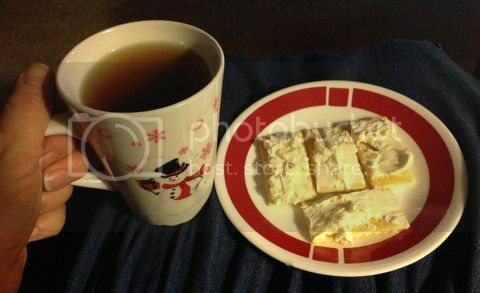 This evening I am drinking mint tea with it. If you have a hard time getting past the garlic and like V8 tomato juice, drinking tomato juice with the crackers will help cut the garlic flavor.